How does movement look on a piece of paper? 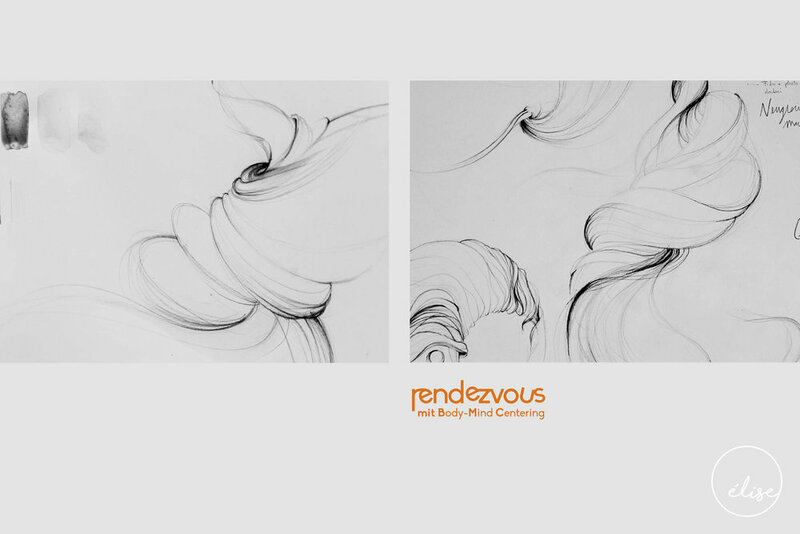 I invited Body-Mind Centering students to draw, using their whole bodies, asking themselves how their pencils would move if they let them move from body part to body part. 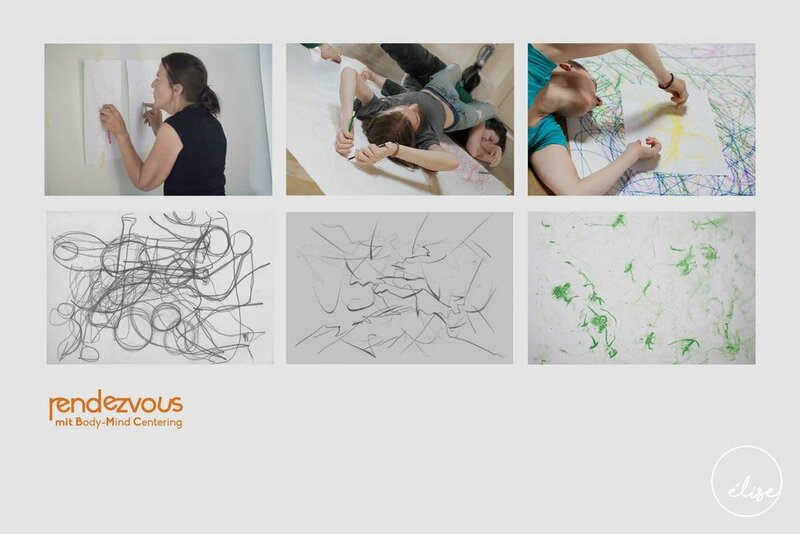 The analogue drawings met digital design, portraying the inner movements that are activated in one's body during those classes. The visual art supports the association Rendezvous mit BMC. It is being used in flyers, posters, post cards and social media.